You’ll find out what our students thought of the experiment. I hope you enjoyed it as much as we did and find their reflections helpful! One of the most necessary procedures in Chemistry is learning how to calculate oxidation numbers. Oxidation states are straightforward to work out and to use, but it is quite difficult to define what they actually are in any quick way. How do we calculate oxidation numbers? First off, an oxidation number is the the degree of oxidation of an atom, ion, or molecule; for simple atoms or ions the oxidation number is equal to the ionic charge. For example, the oxidation number of hydrogen is +1 and of oxygen is -2. It helps to use a periodic table to determine oxidation numbers. 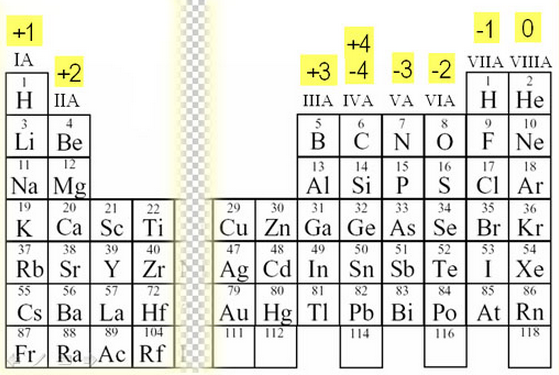 In between +2 and +3 we do not assign any numbers because there tends to be more than one oxidation number assigned to those elements. 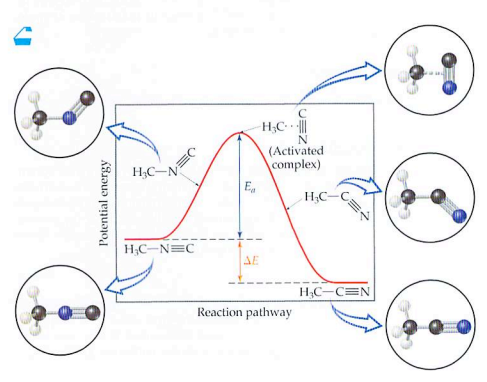 Although the above method is dependable, oxidation states change. Elements can be oxidized or reduced. The oxidation state of an uncombined element is zero. That’s obviously so, because it hasn’t been either oxidised or reduced yet! This applies whatever the structure of the element – whether it is, for example, Xe or Cl2 or S8, or whether it has a giant structure like carbon or silicon. The sum of the oxidation states of all the atoms or ions in a neutral compound is zero. The sum of the oxidation states of all the atoms in an ion is equal to the charge on the ion. The more electronegative element in a substance is given a negative oxidation state. The less electronegative one is given a positive oxidation state. Remember that fluorine is the most electronegative element with oxygen second. Some elements almost always have the same oxidation states in their compounds but some, like Hydrogen although usually +1, can be different. A few examples that you can work out are below. 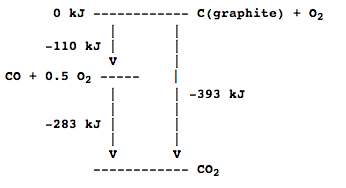 What is the oxidation state of chromium in Cr2+? What is the oxidation state of chromium in CrCl3?